This 5n1 Excalibur Castle is a must have!! 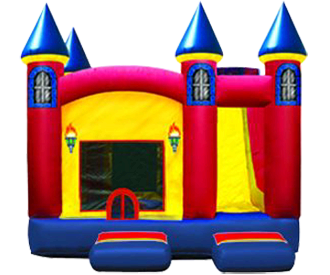 A king sized attraction providing hours of fun while kids have a blast bouncing between the pop-ups, dunking on the basketball hoop, and climbing the ramp and sliding down a steep slide. This unit is sure to wow your special birthday someone and all of his or her friends. This unit also has an extra basketball hoop on the outside for even more party fun! !